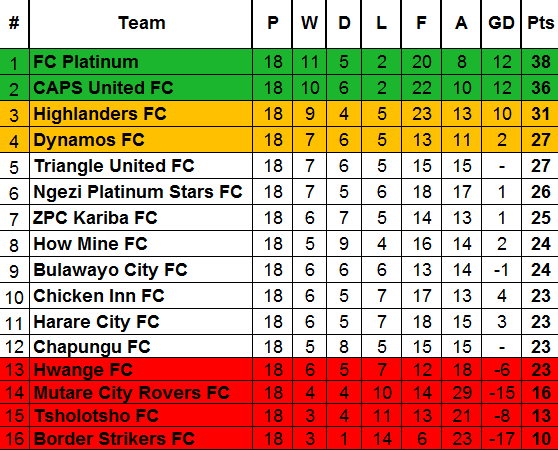 In the Castle Lager Premiership this afternoon both Dynamos and Highlanders continued to struggle when they lost again. Dynamos went down 2-1 to Border Strikers while Highlanders were beaten by and identical score line by Triangle at Gibbo Stadium. Clever Matendure opened the scoring for Border Strikers in the 54th minute but it was short lived as Masimba Mambare equalised on the 60th minute mark from a corner. William Nyoni then struck the winner for Border Striker with ten minutes to go to hand more headaches for Lloyd Mutasa’s side. In the lowveld Highlanders were handed their third straight defeat when they went down 2-1 to Triangle . Erol Akbay’s side are clearly on a free fall and despite getting chances succumbed to a determined Triangle side. Marvellous Mulumba scored after 15 minutes to give the home side the advantage before Malvern Gaki added a second after half-time. Brian Banda gave Highlanders a glimpse of hope when he scored with five minutes to full –time but Triangle held on to clinch the win. At Sakubva Stadium Tsholotsho staged the comeback of the season when they fought back from 3-0 down to draw 3-3 with Mutare City in a entertaining affair. Kudakwashe Gurure, Agrippa Murimba and Wonder Sithole looked to have done enough to secure a win for Mutare City but a Clive Phiri goal started a comeback before Nicholas Mundandishe notched up a brace to make sure the points were shared. 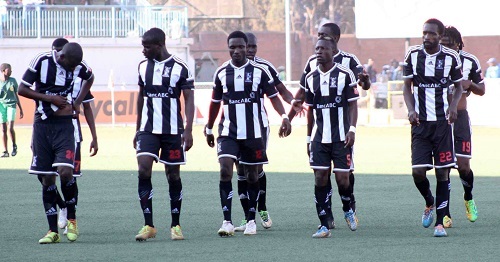 At Luveve Stadium Kevlin Kaindu’s H0w Mine claimed a hard fought three points against Harare City. Timothy January struck a spectacular goal on the stroke of halftime and it was enough despite Harare City’s determination to equalise in the second half.